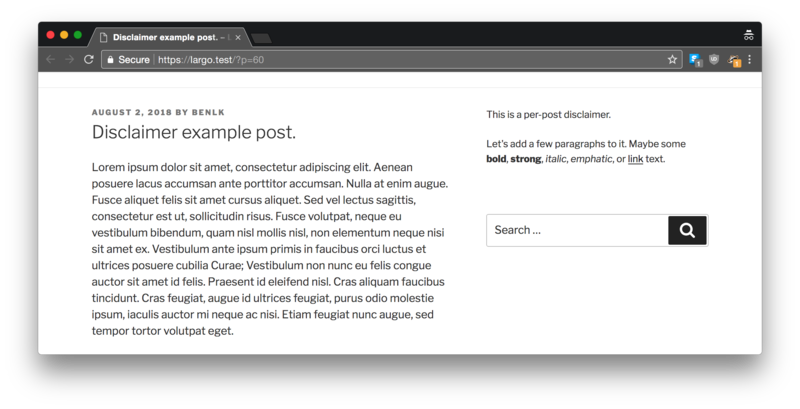 The purpose of the Disclaimers plugin is to display disclaimer text for any post or page where you want to clarify terms of responsibility for the content of the post or page. For example, on a commentary post, you might want to state that the opinions expressed are those of the commentator and don't necessarily reflect the views of the organization or its editorial board. 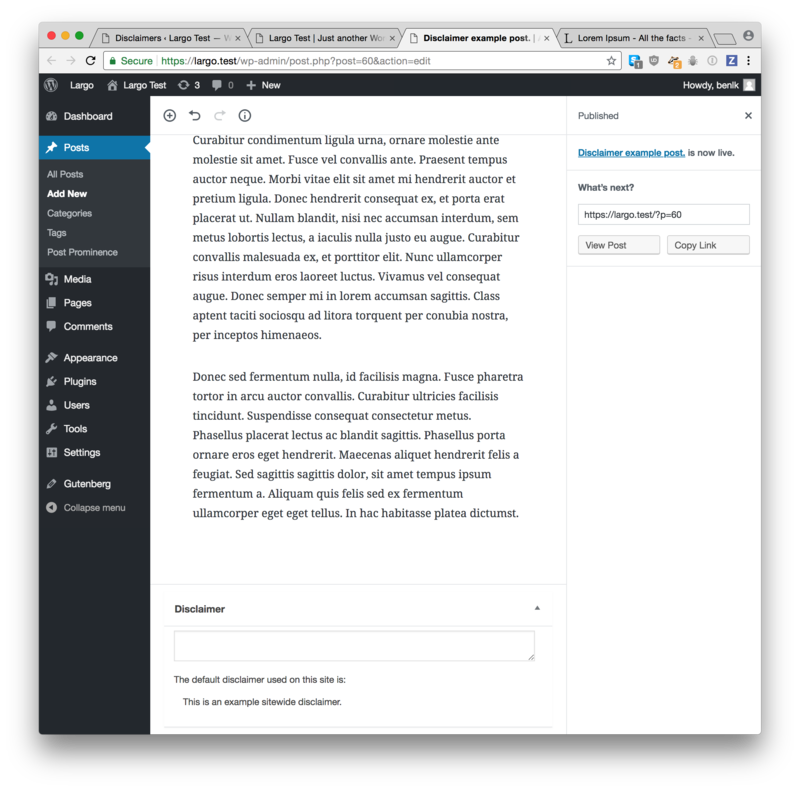 In other themes, you may need to put the Disclaimer widget in a sidebar or in the footer navigation. The widget will only display disclaimers on posts. Other themes may provide different options for your plugin. 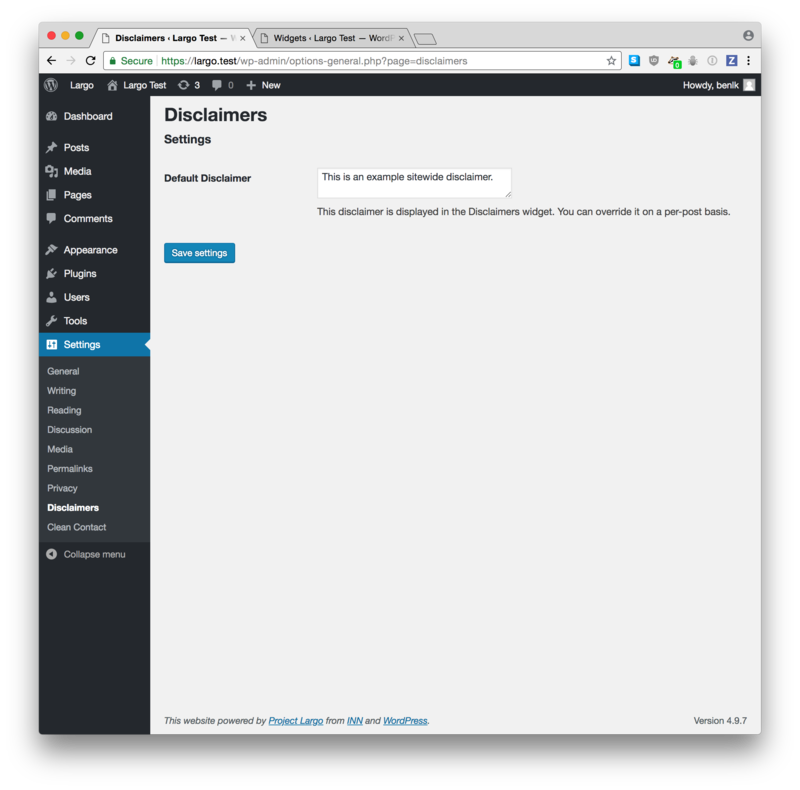 The Disclaimers plugin is compatible with Gutenberg.